A video clip of the Ugandan President, Yoweri Museveni addressing his country on live TV has gone viral for all the wrong reasons. 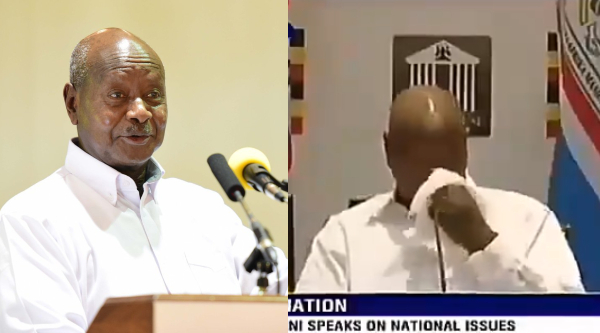 In the video, the president who was said to be emotional during his State of the Nation address, was seen clearing his nose with a handkerchief before heading to spit on another one. A lot of people who have seen the video have actually been disgusted by it and are even more appalled that it happened on Live TV.